Any amount of offerings to the ministry, books or tapes, is greatly appreciated. All offerings are faithfully channeled into the Work of God for the spreading of His Word around the world. There are several ways to send your offerings. Account No: 535 4 008533. Western Union Transfer to Richard Gan only. Bank Draft or Cheque should be made payable in Singapore Dollars to Richard Gan only, or Gan Liang Seng only. 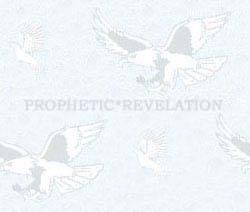 Prophetic*Revelation is not a society or a religious organization and therefore, does not have a banking account. they charge, it is not worth cashing such cheques (of small amount) here in Singapore.